All Honduran 12 oz bags are on sale this month! 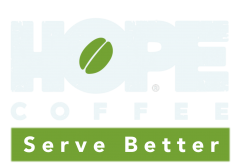 Help us celebrate the farmers and pickers who grow HOPE Coffee by enjoying your favorite Honduran roast! No coupon necessary.